Goddess Fish Promotions is organizing a Virtual REVIEW ONLY Tour for Ethereal Squadron by Shami Stovall, a 361 pages Fantasy available now from TCK Publishing. The tour will run every Wednesday for 4 weeks starting on April 17, and the book is available in PDF, mobi and ePub formats. Shami Stovall will be awarding a $25 Amazon or Barnes and Noble GC to a randomly drawn winner via rafflecopter during the tour, and a $25 Amazon or Barnes and Noble GC to a randomly drawn host. Because this is a review tour, Goddess Fish Promotions will award a $5 Amazon GC to a randomly drawn host. 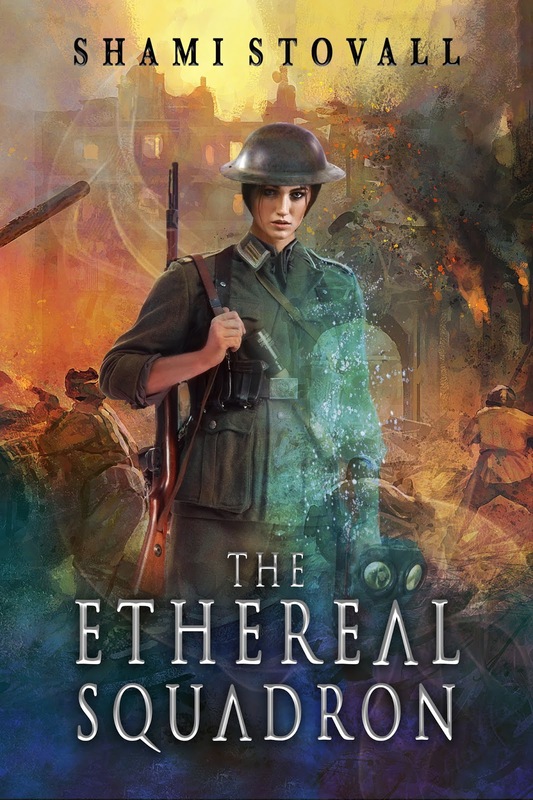 SOLDIERS, SORCERERS, AND MONSTERS...THIS IS WORLD WAR ONE LIKE YOU’VE NEVER IMAGINED IT. It’s 1916, and the world is on fire. Fans of Leviathan by Scott Westerfeld, Airborn by Kenneth Oppel, Shadow Ops: Control Point by Myke Cole, and The Roar by Emma Clayton will love this book.